We all know about Paris, the city of lights, the Eiffel tower, and baguettes! But, there is so much more to France than just its hyped capital. If you want to know which French city to visit for food, music, art, or history then read on. Sometimes referred to as the ‘capital of gastronomy’, Lyon is packed with Michelin star restaurants, traditional Lyonnaise bouchons, and divine cheeses. You can even take a range of food tours to really taste how diverse the cuisine in Lyon really is. Perhaps to pair with your food tour you could embark on a wine tasting, there are so many to choose, from seeing how the wine is made, to simply drinking it! Even if you aren’t a massive foodie there are a number of walking tours, cycling tours, and budget friendly museums to visit. So why not take a bite out of the scrumptious city of Lyon? Looking for a ‘Roman Holiday’? Perhaps not that kind, but Nimes is a city that echoes a time when the ancient romans ruled. The Romans settled in Nimes while they were building the road between Rome and Spain. Now, a 20,000 seat arena, the famous Pont du Gard Aquaduct, and the remains of traditional roman baths lay bare for all to awe at. Nimes is perfect for the historians among us, who can truly appreciate what a special place Nimes is. On the other hand, if sightseeing is not for you then perhaps you might like to take a day trip through the villages of Manosque where you can immerse yourself in southern French culture, and maybe even do a bit of shopping at the L’Occitane en Provence factory. Recently overhauled and renovated, Bordeaux has the most elegant streets in France. The city is truly in touch with its Latin roots as this is reflected through its archaic architecture. In 2015 it was even names Europe’s best destination. 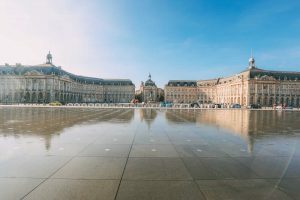 In addition, Bordeaux is also one of the best cities for wine culture. You can visit the riverside Cite-du-Vin, the museum-turned-gallery where you can take part in wine tasting. This venue is said to be unrivalled in the whole of Europe. You can even hit up the wine trails or visit the classical Vineyards. Aside from day drinking, there are a number of biking tours, rooftop bus sightseeing to do, and even a trampoline park for the kids! There is truly something for everyone in this city of urban grace. Paris is the tourist hotspot of France, as you may already know. If you are looking for a little bit of everything on your holiday, then Paris is the place to go. You could take an eerie trip down to the Catacombs, climb to the top of the Eiffel tower, see the Louvre, or even take a trip along the river Seine and see the ominous Notre Dame standing high in the sky. 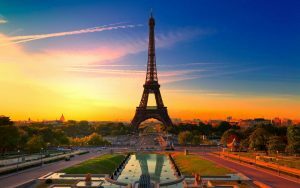 Aside from the vast amount of sightseeing there is to do in Paris, you can get active and view Paris by scooter, visit the opera district, or take the La Cuisine Paris cooking class, and don’t forget about the shopping. However, a must do in Paris is take a night time walking tour of the city, the Eiffel tower isn’t much by day, but at night it is really something to be marveled at. Home to the promenade des Anglais, with some of the best beaches in France. During the summertime you can soak up the sun before taking a relaxing dip in the sea. If this doesn’t sound fast paced enough for you then how about racing around Nice in a supercar? There are tons of vendors that offer the opportunity to speed round a track in cars like Lamborghinis and Ferraris. Strasbourg offers a different experience to many of the French cities at it sits near the German border, therefore its culture is slightly influenced by this. As a result, Strasbourg has some of the best, most authentic, Christmas markets around. However, you don’t have to wait for December to enjoy this city as there is plenty to do. You could go hiking and enjoy a picnic in the sun at the Parc de l’Orangerie, or even visiting European institutions. As for its picturesque scenery, you can race to the top of the cathedral for an awe-inspiring view.